Are you looking for the uncompromised capability of a new or used Dodge Grand Caravan in the northeastern part of Oklahoma? Come see us at Vance Chrysler Dodge Ram in Miami, OK. We are the premier auto dealership in this part of the state. 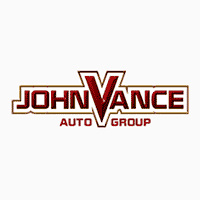 In fact, Vance Auto Group has been faithfully helping our Oklahoma neighbors for over thirty years. With nine full service dealerships, we have a huge inventory of preowned vehicles of all types to choose from. And you will be blown away by the new 2019 Dodge Grand Caravan. Versatility is the key word as the new Dodge Caravan is the most versatile vehicle in its class. You’ll be glad to know it offers Best-in-class storage system options in a lot of unexpected places. If you are looking for lots of space to carry kids, family and friends, cargo or whatever—the Caravan is the perfect vehicle for you. It seats up to seven passengers in comfort with plenty of space between rivaling siblings. The seats fold down in many configurations to allow you to transport all sizes and shapes of cargo from pets to furniture. When the second and third row seats are stowed away in the available Super Stow n Go seating and storage system, you can use more than 140 cubic feet of free space for whatever your needs are that day. Check out all the other hidden storage compartments unique to the Dodge Grand Caravan. Did you know that when the van is parked, you can completely flip the third-row seating so that you can sit in comfort with the tailgate up to watch a game or sunset? Today’s families like to stay connected and entertained on the road, so we stepped up our tech to upgrade your ride. The Dodge Grand Caravan offers you choices of multi-media to get three levels of connectivity from touchscreens, navigation to music. The Caravan is constructed to keep you and your precious family safe from back up camera to child seating and locks and acts as a strong refuge all the way around with seven airbags and many other safety features. Come see us at Vance Chrysler Dodge Jeep Ram to see how we have kept our customers satisfied for over thirty years. We are dedicated to helping our neighbors find the perfect vehicle. We appreciate your interest in our inventory, and apologize we do not have model details displaying on the website at this time. Please fill the form out below and our team will quickly respond, or, please call us at (405) 282-2113 for more information.